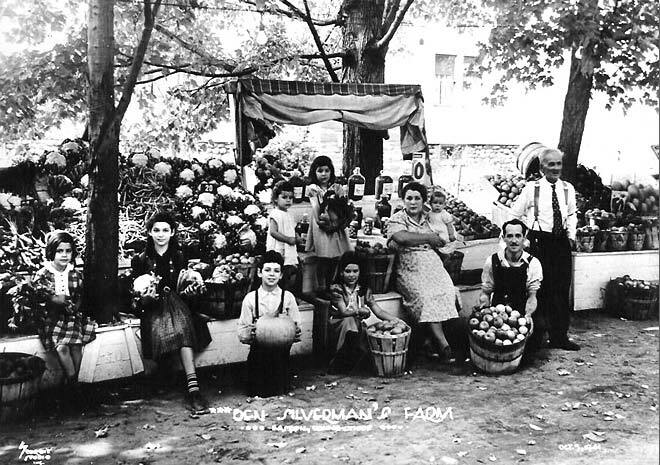 Silverman’s Farm was founded by Ben Silverman in the early 1920’s. Born in New York City in 1898, Ben grew up loving plants and enjoyed gardening. At the age of 18, he moved to Connecticut and began working on cow farms for $1.00 per day. When WWI broke out, Ben worked at a munitions factory in Bridgeport. He was able to save enough to purchase his first parcel of land on Sport Hill Road in Easton. His first venture was building a cider mill. Families from surrounding towns would bring their apples to be pressed into both sweet and hard cider. Ben lived in a single room located in the mill. Soon he moved his mother from New York City to Easton where they shared another part of the same building. At age 30, Ben married Rose Hartz and built the farm homestead next to what is now Silverman’s Farm Market. Rose canned preserves and baked bread for the road-side stand while Ben cleared wooded fields as his farm grew. Ben pressed apple cider for over 60 years, and had the only operating mill in the area which allowed customers to actually watch the cider being pressed. Many school children would visit the farm to watch the cider being made and sample the fresh juice. In 2004 the vintage mill was retired due to new processing standards, but the mill is permanently on display at the farm market. Currently, Silverman’s sweet apple cider is pressed off site and sold at the farm market. Though most farms today specialize in certain agricultural specialties, farms in the 30’s and 40’s were usually called “truck farms.” They raised all types of fruits and vegetables. 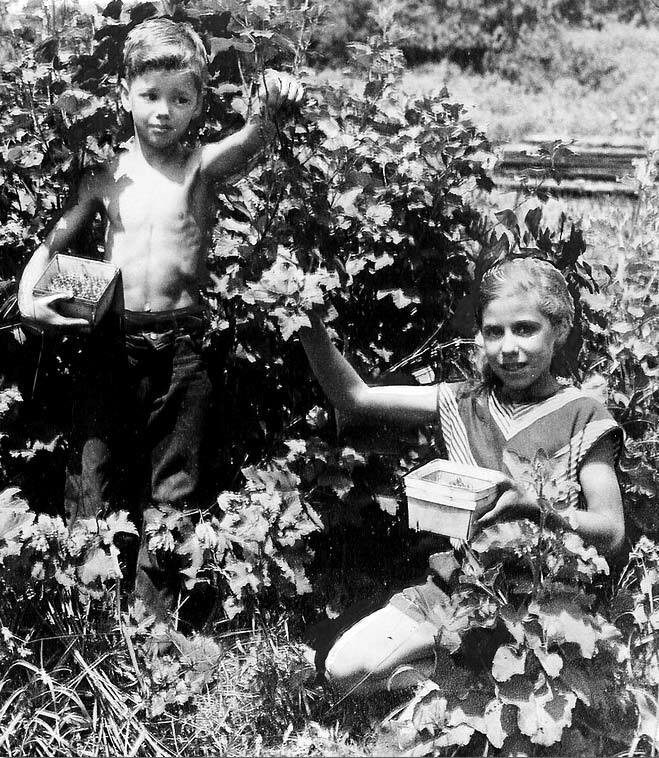 People in earlier generations canned and froze much of their needs for the winter months. Fresh grown produce was purchased by the bushel rather than by the pound as it is today. Ben Silverman raised everything including onions, potatoes, tomatoes, beets, cabbage, cauliflower, egg plants, as well as several types of berries, apples, peaches and plums. Ben and Rose had eight children, six girls and two boys: Harold, Bessie, Dorothy, Adele, Janet, Pearl, Fran, and Irv. Harold worked with his dad through high school, but entered the military and pursued other vocations. The girls all helped on the farm after school, during summers, and on weekends. 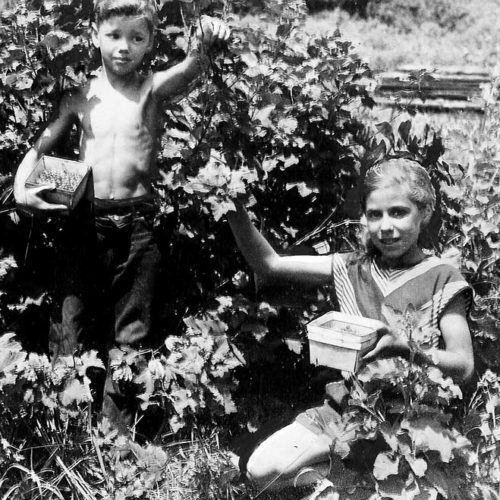 Their youngest son, Irv, gained an interest in fruit production. He earned his bachelors degree in business at the University of Bridgeport while working the farm with his Dad. Irv and his wife Nancy have three daughters: Jodi, Wendy, and Shayna, two grandsons: Zachary, and Thomas, and one grandaughter: Talia. They also have numerous farm pets. Today, Irv is owner and operator of the farm along with lots of help from immediate and extended family. It’s an annual tradition that family members unite to help out at fall harvest time. During the 70’s and 80’s, Silverman’s evolved into a Pick Your Own (PYO) fruit farm featuring a widespread orchard, scenic tractor rides, and petting farm with many types of barnyard animals and fowl. The farm market features a broad selection of fresh produce, baked goods, and specialty foods. The Silvermans hope you visit and enjoy the total farm experience! Though born in the city, Ben grew up loving plants and enjoyed gardening. At the age of 18, Ben began working on cow farms in CT. When WWI broke out, Ben worked at a munitions factory in Bridgeport. He began saving his money. With his savings, Ben purchased the first parcel of land on Sport Hill Road. He started a cider mill which he ended up running for over 60 years. The farm is expanded and produces all sorts of fruits, vegetables, and berries, mostly sold by the bushel. Ben’s family grows to include 8 children who helped run the farm. Ben’s youngest son, Irv, takes over the farm and develops it into a large apple and peach orchard. They add tractor rides and Pick Your Own apples. Silverman’s Farm is now a popular destination with a sweeping Pick Your Own orchard, scenic tractor rides, and petting farm.